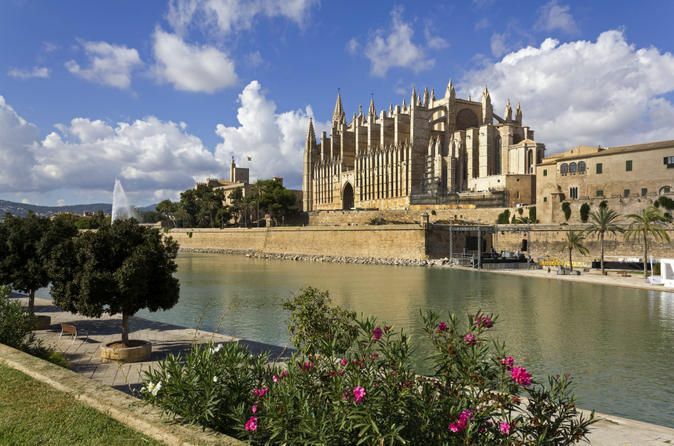 See the highlights of Palma de Mallorca with your private driver & guide. Next, discover some of Mallorca’s top attractions on a day trip to the Cavern of the Dragon (also known as Caves of the Drach). Enjoy a boat trip on Lake Martel (one of the world’s largest underground lakes), while listening to a live classical music concert and watch a spectacular light show. 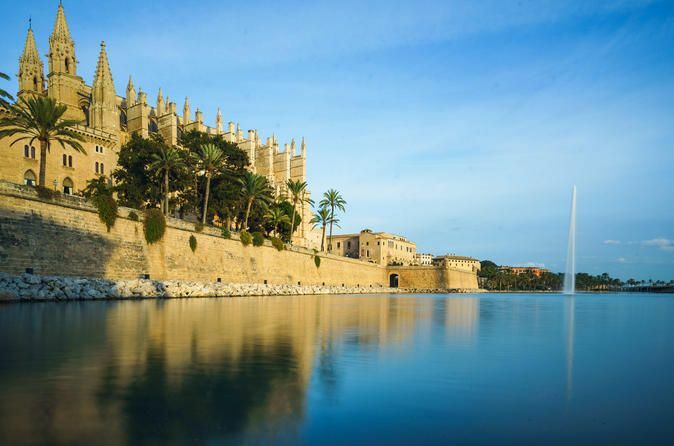 Greet your driver at the Port and set off to see the highlights of Palma de Mallorca (Bellver Castle, the Royal Palace of Almudaina, the Cathedral of Santa Maria and the Jewish Quarter). Arrive at the traditional town of Manacor and enjoy a guided tour of the Majorica Pearl Factory; learn the complex manufacturing process to create precious pearls famous in the whole world. Next, descend to the depths of the Cavern of the Dragon with your accomplished guide. Stroll through the stalactite-studded passages of the cavern and gain insight into the natural wonders’ fascinating history; discovered in the 14th century, the colossal caves stretch for more than 1.5 miles. During your stint beneath ground, enjoy a moving 10-minute classical music performance. Gaze at a spectacular light show that bathes Lake Martel (the world’s largest underground lake) in luminous color then climb aboard a boat for a panoramic tour of the water. Venture to Porto Cristo to absorb the charm of this quaint fishing village and see the town’s most significant sights. Return to the cruise terminal in the afternoon.